17 servings of our most stunning chocolates grace this basket. These lovely sweets are packed in cellophane bags and tied with ribbons. The bags are then placed on a bed of crinkle cut hay and tucked in a beautiful keepsake box.1 If your gift is hand delivered, the lid to the basket is left open and wrapped in cellophane and tied with lovely ribbon and bow. If it is shipped, the lid is closed and the basket is tied with a beautiful ribbon. Slow cooked in small batches, draped in chocolate and sprinkled with on site roasted almonds, these candies are everything you could hope for in a treat. 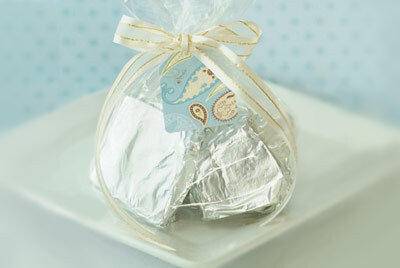 Each piece of toffee is individually wrapped in lovely foil to ensure its freshness. 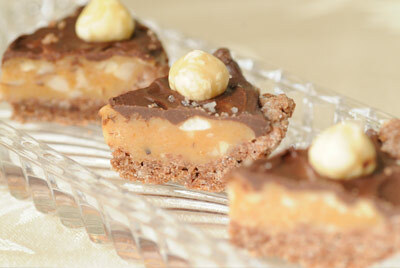 Our own hand cut caramels are fortified with hazelnuts and then poured over a crisp chocolate crust. We then drizzle the whole thing with our heady chocolate and present them with whole nuts and a sprinkle of Fleur de Sel. 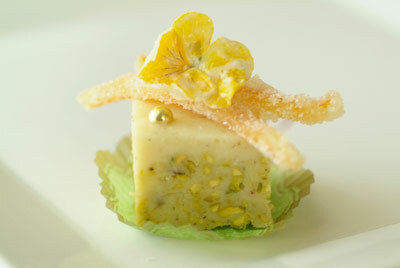 To bring out the true personality of our white chocolate fudge, we scent it with orange and intriguing aromatic cardamom, mix in roasted pistachios and crown them with fresh candied pansies, crystallized citrus peel and a sprinkle of French dragees. 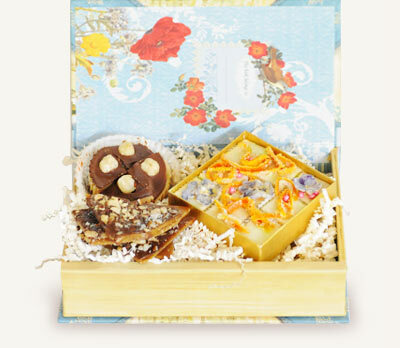 1 FrännyBakes uses an assortment of lovely keepsake baskets. 2 FrännyBakes reserves the right to substitute nuts and decorations without advance notice.